In June 2017 the Reuters Institute for the Study of Journalism published its sixth Digital News Report based on a YouGov survey of over 70,000 online news consumers in 36 countries. Based on this report, the Broadcasting Authority of Ireland (BAI) published its third annual Digital News Report in partnership with the Institute for Future Media and Journalism (FuJo). 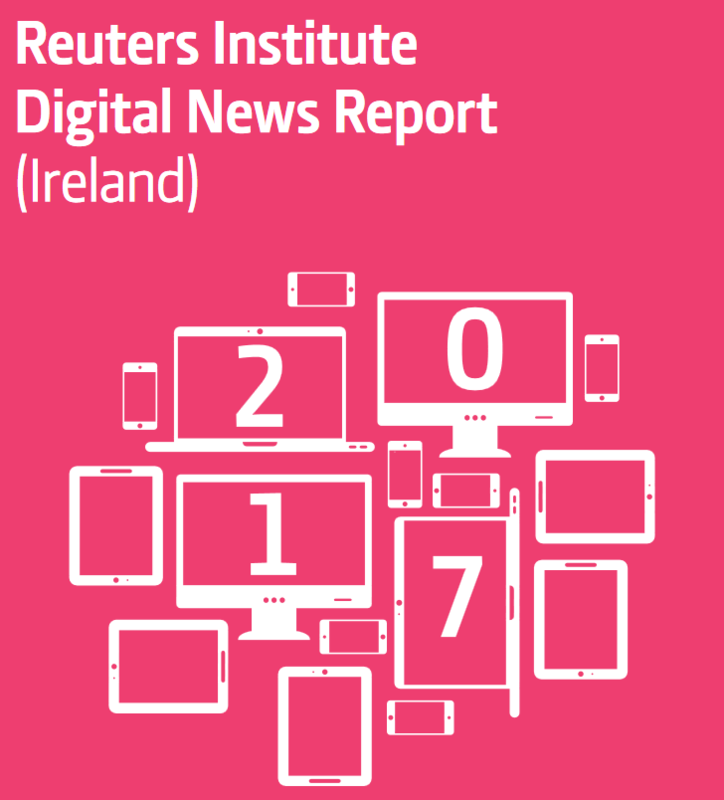 The report’s main goal is to capture the changing ecology of news in Ireland by putting the Irish data, collected by the Reuters Institute, in an international context. According to Jane Suiter, Director of FuJo, this report established “a critical knowledge base for the Irish media industry”. Irish News Consumers: Irish consumers’ interest in news was consistently high over the last three years and interest in news increases with age [48 % of 55+ are “very interested” in news]. Furthermore, the main reason for avoiding the news is its negative impact on mood [53%]. The frequency of access to news has slightly increased over the last three years, news stories and articles being the most popular types of news accessed [62% in 2017]. Current political news coverage is not providing some consumers with sufficient clarity on political matters. Finally the report points out that the number of "Digitalist" news consumers lost 4 percent point whereas "Traditionalists" grew 2 percent point. Platforms and Devices: Over the past three years TV, radio and printed newspapers has declined slightly in popularity for news. However social media has remained steady and is more popular among women than men. The use of computers and smartphones to access news declined although computers remained the most popular devices [62% in 2017]. News Preferences and Trust: Consumers’ interest in many categories of news declined, notably entertainment and culture news. The report points out that news provider need to rethink their news menus for today's audiences. Concerning the trust in news, consumers agreed in 2017 that most news can be trusted, especially Irish consumers who have better level of trust in news than the international average. News Brands: The three main sources of traditional news in 2017 were all in TV: RTÉ at 52 percent, Sky News at 34 percent and BBC News at 30 percent and the top three online news sites accessed were: TheJournal.ie; RTÉ News Online and Irish Independent Online. RTÉ News is known for providing strong viewpoints and opinions but also for accurate and reliable news. The report highlights that the older the audience is the more loyal it tends to be to legacy media. Paying for News: Consumers are more inclined to pay for online news especially the younger ones. The main reasons Irish consumers pay for news is because they were offered a good deal and unlike their international counterparts they are more likely to pay for comment and opinion then for breaking news. The report shows the growth of OTT by pointing out that the most common reason Irish consumers pay for online content is to access TV, film and video on services such as Netflix. Finally, over a third of them have downloaded ad-blocking software because they find ads “annoying and intrusive”. Gateways to News: The most common routes to news in 2017 were via social media [35%], especially for the youngest cohort, or directly through a news website or app [45%]. Text-based stories are easily the most consumed news format. The report also shows that video news consumption decreased in 2017. Social Media and Engagement: Facebook and YouTube were the leading social media brands for any purpose while usage of Instagram and Snapchat each increased since 2015. The dominant brand for news in Ireland in 2017 is Facebook at 41 percent while the interantional average is 47 percent. Finally the main way irish consumers share or participate in news is talking with friends and colleagues.